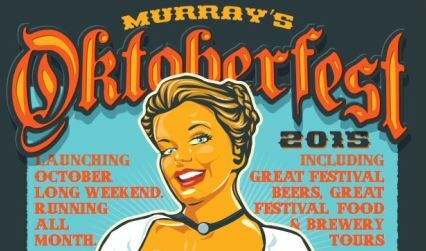 Launching this October long weekend and running for the Month of October at Murray’s Brewery is the forever traditional Oktoberfest. Murray’s Brewery offers a fantastic venue for the whole family for a long lazy lunch amongst the vine yards, with open spaces for kids to run around and have a game of cricket, soccer, throw a Frisbee or a family game of Boccie. The Retreat Port Stephens offers a great range of accommodation options for groups as well as families and couples. With brilliant onsite facilities The Retreat is your bush hideaway beside the sand dunes. The Retreat also offers packages offering breakfast vouchers, quad bike tours, dolphin cruises and shark and ray feeding experiences. More details..